Installing CurateWP follows the same process as any other WordPress plugin. After you’ve purchased a license for CurateWP, you will receive a link to download the latest version. 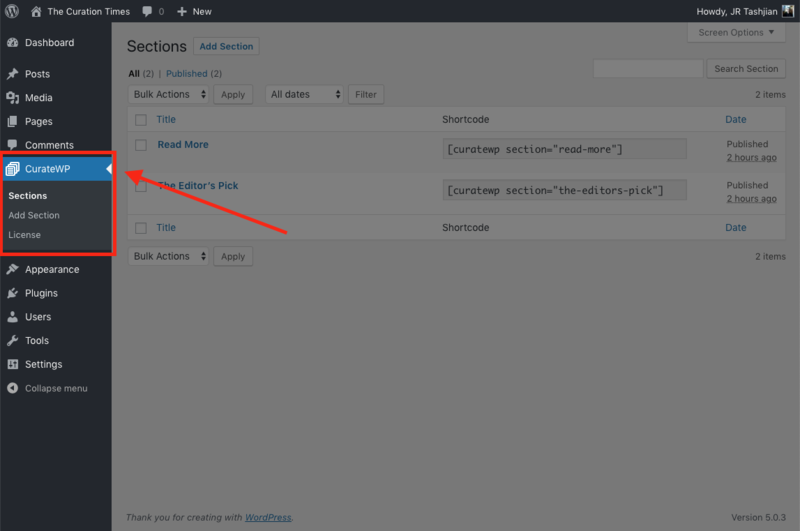 You can either upload that zip file within the WordPress Admin or upload via FTP and activate CurateWP. The WordPress codex contains instructions on how to do this here. Once CurateWP has been activated a new Admin Menu item titled CurateWP will appear. This is where you will manage your content sections and activate your site license. Uninstalling CurateWP involves Deactivating and Deleting the plugin on the Plugins page in your WordPress Admin area.